Hit the adventurous activities you’re hoping to tick off and leave the children safely in the care of Kidz Club Queenstown. 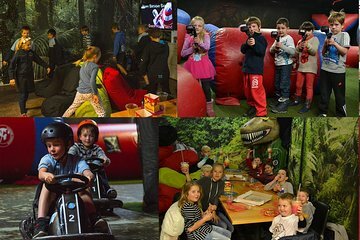 With the little ones booked into Kidz Club Queenstown, relax in the knowledge they’re having just as much fun as you! Perfect for kids aged four to 13, the club’s fun-filled program includes laser-tag, 12-dimension motion rides, indoor games and Nintendo Wii alongside entertainments such as face-painting and coloring. With enthusiastic and friendly staff ensuring your kids are kept busy, you’re free to enjoy Queenstown at your own pace.